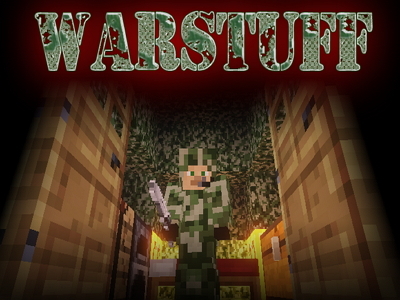 The Warstuff Mod for Minecraft gives you access to some cool instant buildings, healing items, and weaponry. This mod is pretty easy to use and adds quite a bit of interest to the game if you are thinking in "war mode." You can have an instant tent, either small or large, at the click of a button. You can make camo nets and armor that wears like camo clothing. This armor is not the most durable, but it looks great. For healing and hunger, there are small or large medical kits, pain-killer pills, and ready-to-eat meals. The explosives really explode, sending shrapnel flying. That may be the most entertaining thing about this whole mod.